Beer is an inevitable part of numerous social occasions. As such, it can be pronounced the omnipresent world drink. Hardly any corner of the world does not know about beer and its beneficiary effects. In some countries, like Czech Republic and Germany, it is a national drink, while in some others it is less popular but still remains among the most drunk alcohol liquids. While there are wine cities and regions, such as Bordeaux or Tuscany, beer does not either fall behind and many cities of the world can be name “beer cities”, since the consumption of beer by domicile population is very high, and when tourist consumption is added to it, the numbers are incredible. Step by step, let’s set off for a beer city tour. While the inhabitants of the Czech Republic are among always very high in the rankings about beer consumption per person, its capital city is on the waterfront. Thanks to its antique look and beautiful buildings, Prague spreads a special flavor of history that seems to be incorporated into beers that are made both by large companies and smaller family breweries in Prague. The capital of the Czech Republic is also rich with small pubs and breweries called pivnice which also offer meals in addition to beer, which makes a great combination for every tourist that comes to this wonderful city. So, when you decide to have a rest after a strenuous walk, since Prague is quite well-endowed with hills, there are few places in the world that offer such a joy when you sit down for a beer as it is the case with Prague. Melbourne offers a variety of pubs and there is usually at least one in every street in the city center. So, if you are on a day crawl for tourist attractions in Melbourne, you can just make a break and get into one of the numerous beer-friendly places. However, if you would like to have a can or two when you get back to your hostel room, there are also many beer stores, where you can get fine home brew supplies in Melbourne and spend a night on your balcony, enjoying the view of the city. Although the whereabouts of the first pub in the world are not known today, there is no such a place in the world that inspires people to get drink as it is the case with Dublin. 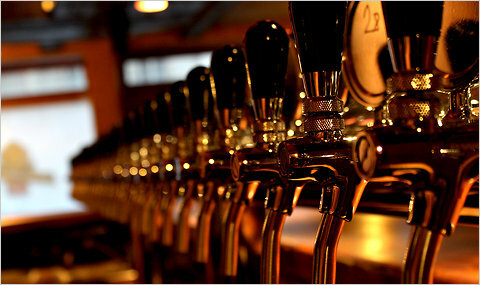 Situated on the Atlantic Ocean, this city is a real beer jewel and the Irish in general are genuine beer-lovers. With the huge variety of Dublin pubs and breweries, both a tourist and a local person will be over the moon after a pub crawl. Knowing the Irish hospitality, after several pints drunk with local people, nobody is going to feel like a tourist, but like a genuine Irish person. As a social connector, beer comes almost like cultural attraction in many cities. Thanks to that, your stay in many parts of the world will be more relaxed and richer with interesting events. Just order your beer, lay back and have a great time in one of the world’s beer cities.